The iPad 3 will be unveiled today. Buzz has trickled out in recent days, so here are a few things to look out for before Apple makes its big announcement Wednesday morning. What will the iPad 3 be like? Take a look for yourself. This prototype video will blow your mind. Is it that much better than the iPad 2? Probably. The public will initially be underwhelmed by the upgraded features, much like they were when the iPad 2 debuted last spring. But the new model is a significantly improved product in terms of both hardware and software. What’s all the buzz about? One much-hyped feature is the edge-to-edge retina display. An estimated 2048×1586 display would be twice the resolution of the current model. Some rumors say the iPad 3 will be powered by a quad-core A6 chip. More details will become apparent Wednesday. What will it cost? That’s not yet clear; anonymous sources are now dismissing rumors that it will be $80 more expensive than the current model ($499). What does this mean for Apple stock? – Apple closed Tuesday at 530.26 and remains an attractive buy. It has a substantial piece of the the entire phone market. 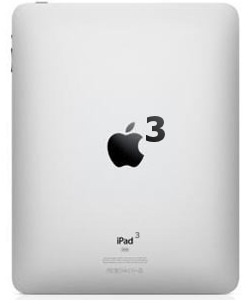 The iPad 3 indicates that the company has plenty of life left, even after the passing of Steve Jobs last year. Apple is the biggest company in the world, but it’s only going to get bigger. Mat is a young entrepreneur contributing business and tech analysis to Yi!.